Another hard part for me is leaving my home. We’ve not been able to sell it, so our lawyers got together and thought that renting it would help. So now, I’m moving into to the little apartment about my shop, after a brief stay with Mama and Jon. You see, Bill’s not making as much money as he used to and I’m barely making anything at all, now that wicked Irish dancer Emily McGlashen is in town. In fact, she’s at the root of a lot of my angst. When she first moved into town, believe it or not, I was thrilled. I thought we might partner on some events, pool our resources, and so on. She’d have none of that. Right from the start, she started spreading brochures around town claiming Irish dancing was better for children than ballet. Well, I never! And I can’t believe I’m losing student over this. So am I stressed? Am I? Hell, yes. But my friends and family don’t need to treat me like a child. I’m a grown-up and I will survive. It sure is nice to have so many people caring about me, but they just need to give me a little space. Do you know what I mean? P.S. 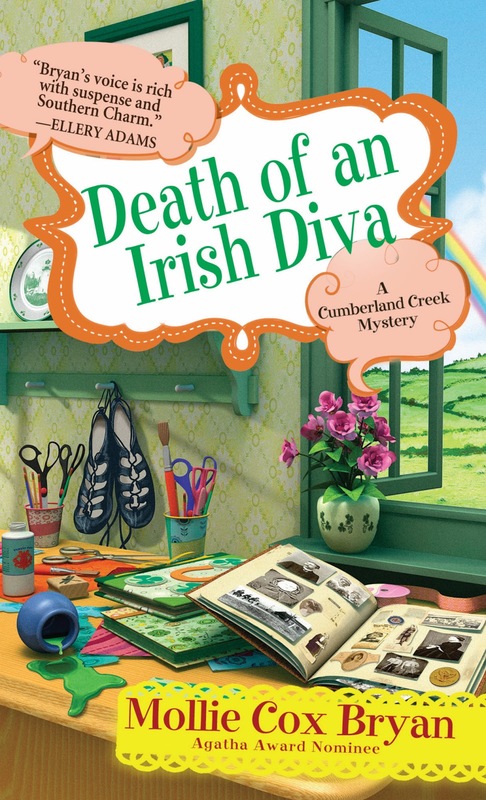 Week from today DEATH OF AN IRISH DIVA is published! One more week to get your pre-orders in! 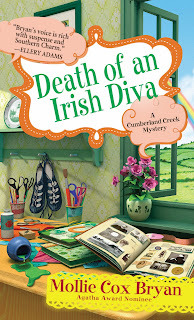 Enter to win a $30 gift card if you pre-order the book, send Mollie proof of purchase to molliebryan@comcast.net or Tweet about it and you're entered!